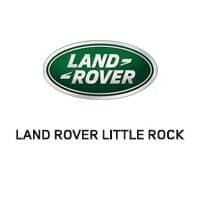 At Land Rover Little Rock, we understand the inconvenience of servicing your vehicle. When your vehicle is ready for service, simply call Land Rover Little Rock at 501-508-2269 to schedule your service appointment. And, while your vehicle is in for service, we are pleased to offer you a complimentary loan car or a shuttle. If you prefer to wait, we do offer WI-FI, Fresh Baked Cookies, an assortment of refreshments, iPads for your usage, a child’s play area, work stations, and much more. If you are more comfortable making a reservation online, click the schedule service button below. Please remember if you desire a complimentary loan car, you will need to call and reserve your vehicle. Our technicians are not just ready to work on your Land Rover, they are certified to do so. They know your Land Rover backwards and forwards. They can work on all the latest technology and they will know how to solve any problem that you may face. They have the right tools and equipment to take care of your Land Rover the right way. When we solve an issue, we solve it the right way, so that you don’t have to come back. Friendly service is important to us. Somewhere along the way, many service centers forget that. We will take care of everything for you and provide you with peace of mind. We will take the time to walk you through your entire service visit. This way you understand everything that we are planning on doing to your Land Rover, before we do it. If you have any questions or concerns, then we will get these taken care of before we get to work. We provide you with an honest and upfront quote that you can rely on, and we will get your Land Rover repaired the right way.